Who Is the Movie Mind? 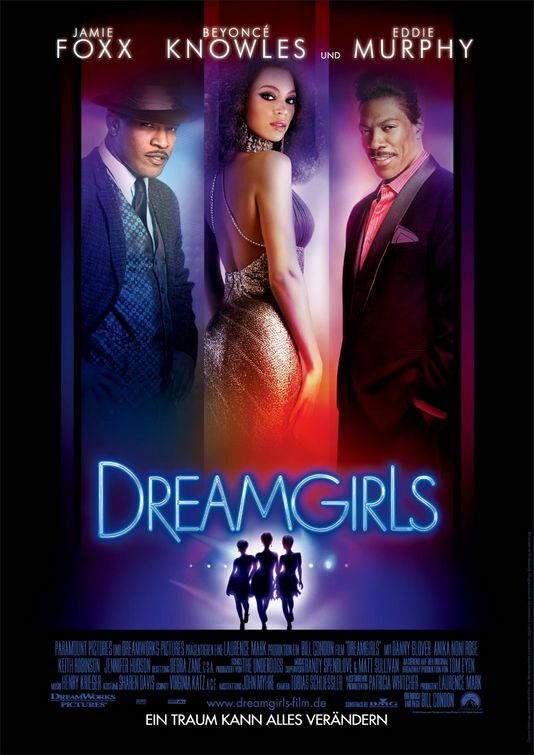 Call it a late Valentine’s Day gift, or maybe I was just overdue for watching one of my wife’s picks, but however it happened, I recently found myself sitting in front of a TV for a full-length viewing of Dreamgirls. I’m not even sure it should be something to be ashamed of, I mean with Jamie Foxx and Eddie Murphy starring and the couple of Oscars it took home. Nonetheless, I learned an important lesson that is hard to admit in public: sometimes my wife has better taste in movies than I do. Allow me to clarify that previous statement slightly. She can usually pick a better quality movie more consistently than I can, but when I get it right man do I get it right! Dreamgirls was a very pleasant surprise. Actually, I can’t even say that it was that much of a surprise. It was much more of a struggle to actually sit and watch it than to legitimately enjoy it. Getting pulled into the film and the amazing acting was the easy part. It was like the Broadway version of Jerry Maguire…just enough to keep the guys interested with a solid core of a cheesy love story; only in Dreamgirls, it’s not all that cheesy. Jamie Foxx puts in his usual solid performance as Curtis Taylor Jr., a hard-charging wannabe in the music business looking for his ticket. Along came Beyonce, Jennifer Hudson, and another star in the making who all just needed their big break. Foxx teams them up with Danny Glover, who manages Eddie Murphy (quasi-star James “Thunder” Early), while all along planning to use him to launch his newfound starlets. Eddie plays one of his best roles ever, next to Axel Foley of the Detroit P.D. of course. Since it is hard to say who had the “lead” role, most of the ensemble cast should have won some kind of award. They take us through the development of Motown and how the music shaped the times, or vice versa, all the while watching how the group becomes larger than life, only without their original leader. I said earlier how the tough part was taking that initial plunge into the frigid pool. I am extremely happy I got to see this movie. I didn’t even get freaked out by all the love stories and woman-centric themes going on. The only uncomfortable moments were when the characters had to break out in song to punctuate their dialogue. It would have been easier to handle if I knew it was an adaptation of a Broadway musical going in. In all seriousness, the singing was amazing and acting was even better. If you can get away with making this a “her” movie choice, I suggest you grab onto that and make it happen. It’s almost unfair to the women in our lives that we get to “take one for the team” by watching Dreamgirls while they have to grin and bear it for any one of our Rambo-like indulgences. James ‘Thunder’ Early: [singing] Jimmy want a rib! Jimmy want a steak! Jimmy want piece of yo chocolate cake! C.C. White: [knocking on the dressing room door] You ladies decent? Deena Jones: I am. I can’t speak for these two. Lorrell Robinson: It doesn’t take a whiz to know that only a desperate man would drop his pants in living color on national television!